Whether or not you love the Kardashian's isn't super important, I think we can all agree that they have amazing style. I tend to lean more towards Kim's style, but she's been going super over the top lately and it's not very relate-able for every day people. 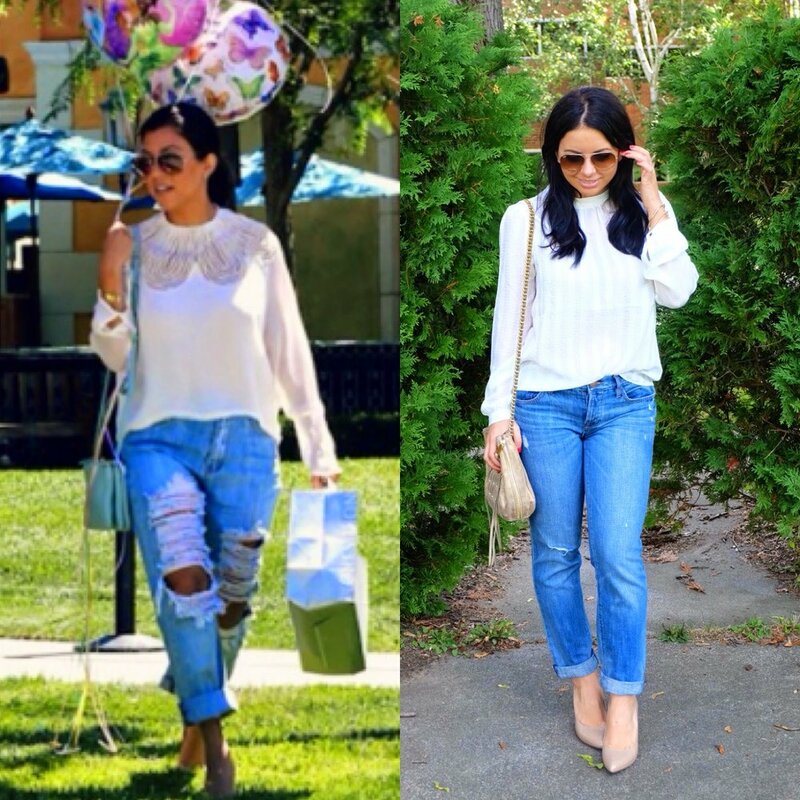 For every day inspo, I do love Kourtney's style, she is always on-trend and she's not afraid to take a risk. I also appreciate how often she wears affordable clothing, her top shown below is from H&M! Cooler weather is officially setting in. It got down to 47 degrees last night, which made it perfect for a bonfire! I love dressing for the early days of fall, especially before the snow sets in! It's my favorite time of year, as the leaves are just beginning to change. It is so beautiful outside and you can really get out and enjoy the beautiful scenery. I think I love the start of every season though, it's just so nice to get to switch up your style, it's one of the best parts of living in NY. I get to dress so differently through each season of the year. My closet loves it, my wallet does not.